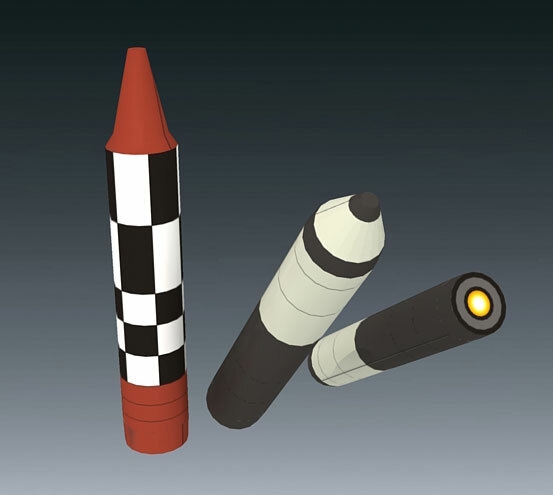 This submarine launched ballistic missile is well known by military enthusiasts. But it gained more famous these days, it said to be the primarly cause of spiral light on the northern sky of Norway. Russian official confirmed that the phenomenon is merely the sight of Bulava rocket engine failure on its launch test in white sea. Strangely Russian said nothing about it on the previous day, when a lot of speculations about that "UFO" sighting on December 9, 2009. 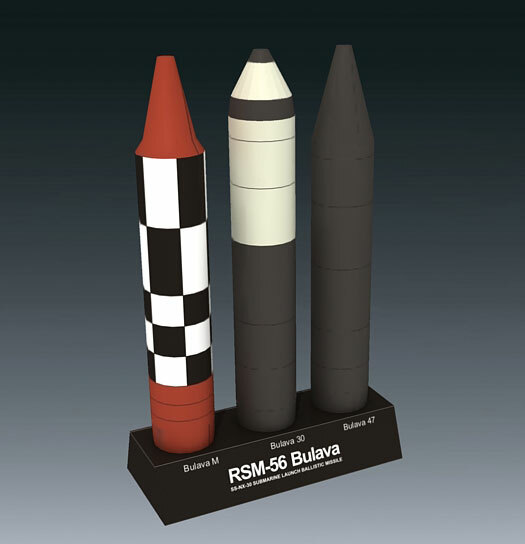 Bulava is desinated as RSM-56 by Russian and as SS-NX-30 by NATO. Bulava means "mace". This paper model use 1/72 scale.